The South African Social Security Agency briefed the Committee on its annual report for 2015/16. Of the planned target of investigating 70% of fraud, theft, and corruption cases, the Agency investigated 83% of these cases. In addition to the 2015/16 cases received and investigated, 839 backlog cases were dealt with. This brought the number of cases investigated to 1766. After the investigation, 29 of the cases were referred to Law enforcement agencies. These cases involved 114 officials, 9 beneficiaries, 5 doctors, 5 private persons and 3 former officials of SASSA with a combined value of R 53, 363,943.46, These cases were mainly on social grants. Of 95% planned target of filling funded vacant positions, 96% (9732) were filled at the end of March 2016. This total of 9732 included both permanent and contract employees in service at the end of March 2016. There were 1768 appointments, 705 permanent appointments and 1063 contract appointments. Critical positions filled during this period included the Chief Financial Officer (CFO) and the Chief Information Officer. A total number of 132 cases of misconduct and disciplinary matters were finalised. They included 37 dismissals, 34 final written warnings, 10 verbal warnings and 51 written warnings. In addition, 455 financial misconduct cases were handled. 183 of them were referred for debt recovery (R2.4 million) and 259 were written off (R1.6 million). The Agency however, was strengthening action in this area of misconduct because it had been found wanting. Members expressed concern over the huge amount of money recorded as irregular and wasteful expenditure, that the CEO post was still vacant and the illegal deductions that continued. The Chairperson said the Agency should find a strategic way of communicating to the people who were experiencing the deduction on what to do. Some of them were in the rural areas and might not have the evidence or what to do. Amongst others Members wanted to know the state of readiness of the Agency to take over the payment of social grants for 17 million South Africans. The Agency was ready to take over in terms of the requirement of the Constitutional Court. The Chairperson said that the Committee’s programme was on Budgetary Review and Recommendation Reports (BRRR), it had engaged with other departments like the National Development Agency (NDA), Department of Social Development (DSD) and today was for SASSA. Dr Wiseman Magasela, Acting Director General: Research and Policy Development, DSD; gave an overview of what the presentation entailed. Ms Raphaahle Ramokgopa, Executive Manager: Strategy and Business Development, DSD, briefed the Committee. SASSA had two programmes namely administrative programme and benefit and support programme. SASSA received an unqualified audit outcome from the Office of the Auditor General (AGSA) although there were few matters that were picked up from AGSA. 227 users were migrated from Novell to Microsoft platform. Because the Agency relied on Telkom there was a delay in obtaining approvals to dig trenches for the laying of fibre infrastructure required for the implementation of the project. This further had a negative impact on the finalisation of the integrated programme roll out plan in all the 9 regions. The design phase for Social Relief of Distress (SRD) on Social Security Pension System (SOCPEN) enhancement was completed. The SRD had been administered manually and that had the potential for fraud hence the enhancement. 16991634 social assistance benefits were in payment as at the end of the financial year. 12573955 were children’s grants, 3194087 were Older Persons grants, 1085541 were disability grants, 245 were war veterans and 137 806 were grant in aid. There was a 2.1% increase in the growth of social grants. 967295 social grants lapsed between April 2015 and March 2016 as a result of children graduating when they reached 18. Biometric enrolment and identification specification were adopted by the Agency but not implemented as per the target. Mr Tsakeriwa Chauke, CFO: SASSA, took the Committee through the financial performance of the Agency. SASSA’s budget allocation for the 2015/16 financial year amounted to R 6,642 billion. The Agency had over and above this allocation an accumulated surplus of R 1,366 billion. The retained surplus was earmarked mainly for the projects geared towards the insourcing of payments (social assistance benefits). National NT granted approval of R 621 million of the retained surplus to be spent in 2015/16 to fund once off critical projects like the erection of pay point. Actual expenditure by the end of the financial year was R6 904129 million. R2, 463,766 was allocated to programme 1 while R4,179,204 was allocated for programme 2 making it a total of R6, 642, 970 for the 2015/16 financial year. R2, 656,852 was spent in programme 1 with a variance of R -193, 086 million while R4, 247, 277 was spent in programme 2 with a variance of R -68, 073 million. These variance (R261,159 million) were financed through the retained surplus. Programme 1 budget included R 2 billion handling fees for social assistance transfers. Internal control deficiencies included lack of sufficient review and oversight to ensure compliance to applicable legislation, timely implementation of proper record keeping, monitoring and review processes not implemented in a timely manner, and investigations (fraud and compliance unit, SIU and NT) as a result of fraudulent actions that could result in possible irregular and fruitless expenditure. When the Agency opened the year for 2015/16, it had R93 million of regular expenditure. Going back to the financial statement of the Agency for 2014/15 financial year there was a paragraph with a lot of transaction called ‘possible irregular expenditure’. This possible irregular expenditure were the transactions that were under review to confirm whether they were actually irregular or not. The R18 million added to the opening balance related to the current year. Of the R18 million, R16 million were transactions started and completed within the year under review which was 2015/16. It related to leases that expired and in some instances where the Agency had shared accommodation with the provincial of the DSD, they left sometimes without communicating or notifying the Agency. the Agency had to take some of the leases on board actually to keep the services because an office could not be moved where clients were being serviced. The other addition was the R316 million. This was the matter that was put in the previous financial statement as a possible irregular expenditure. This was the transaction the Agency had to do additional registration and resourcing which happened in 2012-13. There was a big re-enrolment of beneficiaries during 2012-13. At that time, the database had to be cleaned and employ resources. The Agency also appointed a contractor. To do that the Agency had needed additional resources that had to do with infrastructure, numbers, and the categories that needed to registered etc. the Agency had to apply for variation order which was approved by the authority responsible for that. However, there were accounting issues related to that transaction. This matter was before the court, the court was reviewing the transaction. It was a matter between SASSA and Corruption Watch, the matter was waiting to be dealt with. Once the date of the case was determined, SASSA would go to court. Hence it could not go into the merit and demerit of the case. The amount of R414 million related to the extension of physical security contracts. This amount was not incurred in one year but an accumulative of transactions that ran from 2012 to the end of 2015. The Agency appointed security companies in the SASSA offices which were the 9 regions plus the head office through supply chain management and due process. When the term of the contract expired, the procurement processes could not be concluded. The Agency advertised in time but when the bids were received, the bids were non responsive. The Agency opted to extend the running contract, National Treasury (NT) wrote to the Agency saying that the contract should not have been extended but rather gone for a new contract. NT suggested that the Agency should not have allowed the contract to end, then enter into another contract via a new supply chain management. There were a lot of engagements with NT at that time and even now. The basis of the extension was that the bids that went out, the bids were closed, evaluation was done and the processes were complete but the bids were not responsive. When bids were not responsive the options were to extend or apply a deviation, get into a quotation process. The R223 million related to the issues of leases to Trifecta. These were contracts concluded between 2006 and 2007. SASSA was established in 2006, at the establishment the Agency did not have all the capacity so it took some of the contract from the provincial department at the time. There was also an agreement that the provincial department would be assisting SASSA. When the Agency entered into these leases, four in the Northern Cape and one at the North West, it was concluded between 2006 and 2007. However, on review of the contract the Agency could not find the procurement process documentation that supported the contract. AGSA reported that the Agency did not put processes to keep the documentation. The Agency searched for it but did not get all of it. There was a court case in the Northern Cape relating to the Trifecta which for now was under appeal, it was concluded and verdict given. The Agency wrote to NT seeking advice on how to treat transactions of that nature and NT said it should be recognised as an irregular expenditure. The Agency was following the court process at the moment. The Agency had done two things with the transaction (1) two of the contracts were being renegotiated in terms of termination and the other three were being renegotiated in terms of getting into a new arrangement to avert further irregular expenditure in future. The Agency was awaiting NT in terms of further guidance because it did not affect only SASSA but some other government departments. The R74 million related to forensic investigations. It related to appointment of a company that was assisting SASSA and it was done through a normal bid process. However, at the awarding, the Agency considered a company- SAB&T. This process was taken into a review through a court process. The court gave a verdict that the contract was invalid in terms of the awarding of the contract. The Agency had taken steps to wrap up the contract. Going forward the Agency would engage with NT in terms of further treatment from the condonation of the transaction which would be concluded during the course of this year. There was also minor adjustment to the transaction. Trifecta had migrated from DSD to SASSA. It was part of the things that the Agency inherited. The Agency acknowledged its regression in terms of its performance information and it was working towards improving on it. It was not a good record to have such a huge amount as irregular expenditure. Ms B Abrahams (ANC) said the Agency should follow the PFMA as per the audit opinion. The critical position, especially that of the CEO, must be filled because it gave leadership to the Agency. What was the Agency doing in terms of resignations? Was there a mentorship plan, succession plan? The misconduct was very high as mentioned, what was the Agency’s plan and assurance that it would not reoccur? What was the reason for writing off (R1.6 million) instead of following into a debt recovery? Compliance to legislation should be monitored and supervised. PFMA should be utilised daily. Ms S Tsoleli (ANC) raised questions on targets not achieved. The Annual Performance Plan (APP) of the entity had 37 targets but the entity achieved 18 targets, what would happen to the targets not achieved? The Agency said that NT approved R621 million, the annual report shows that they managed to spend R226 million of the R621 with a difference of R395 million which was not reported. The Agency should give a breakdown of the difference that was not reflected in the report. The Agency had not complied with legislation as reported by AGSA, what were the measures in place to prevent unlawful expenditure. In the previous financial year, no action was taken with regard to irregular expenditure, what would be done to those that failed to comply with legislation? On the implementation of biometric authentication system in preparation for the institutionalised system, how far was the process? Could the resolution be implemented by the Agency within the timeframe promised the Committee? If it could not be implemented within the timeframe, the Agency must give the reason for that. Ms B Masango (DA) raised questions on the institutionalised payment system. As reported by the Acting CEO that the Advisory Committee investigation that took place against the backdrop of the Cash Paymaster Services that would phase out in March 2017. This was a huge project to be undertaken by the Agency. It involved a lot of preparation plus it had 17 million people that were dependent on it. where was the plan for this project and could the portfolio Committee have access to the plan? Was SASSA ready to take over this process? 7 deliverables were given by the Constitutional Court that would lead to fully fledged institutionalisation of the process by 1 April 2017, how many of the 7 had been implemented? Some of them were supposed to have been implemented this year. The R414 million explanation with regard to irregular expenditure was noted, but what was happening at the moment? Who was providing security at the head office and the 9 regions? Within what arrangement was that? Was the Agency extending again? On the exercise of sufficient oversight, what was being put in place as a matter of urgency because the money involved was quite a lot? The Chairperson said the Agency must also assure the Committee that there was human resource and organogram for this institutionalisation. How would the implementation happen? What if the service provider had created jobs, what would happen to the employees? Ms E Wilson (DA) expressed concern over the state of readiness of the Agency with regard to the institutionalised payment system. How far was the Agency with the 7 deliverables given by the Constitutional Court? Had nine and half million cards been printed to replace those that would expire in May 2017 so that people would have cards to withdraw their money when they received their money? Were they ready for distribution or was the Agency entering into another contract with Net 1 or other company? The biometrics was important. Had NT received a budgeting or costing, or how the Agency’s work stream was going to pay out, information was needed? Who was on the advisory Committee? Were they paid and how much was it? Who was on the work stream? Who were the work stream leaders, were they internal or external employees? Were they paid and how much? There was no reflection of these questions on the budget report. This was indicative that SASSA was nowhere ready to take over from 1 April 2017. There was so much at stake for 17 million South Africans with regards to this issue. The Chairperson said that the Committee was not dealing with the detail of the methodology for this one programme. The detailed report would be communicated to the Committee in its next meeting with the Agency. When would the Department have a DG? Mr Magasela responded that the Agency had made progress in the filling of these positions. The appointment of the CEO had been finalised and Cabinet had approved the recommended candidate. It was a matter of organising when the CEO would assume duty. 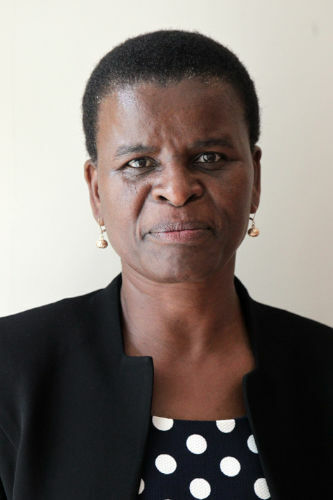 The Social Development NDA had appointed a CEO for SASSA. The new CEO would assume duty before the end of the month, because it was announced by Cabinet as well. On the position of the DG for the NDA, interviews were held and a candidate was selected. The appointment of the DG was waiting for Cabinet approval and endorsement. The three positions were already at the finalised stage. The CEO for SASSA had been endorsed by Cabinet. The Agency was ready to give details or reach an agreement of when to come back to the Committee to explain their progress for the takeover and not withholding any information from the Committee. Ms Tsoleli asked that the Agency give the Committee a highlight of the detail. Ms Wilson asked if the Agency had complied with the court judgment. Had the payment module been submitted to NT? Mr Chauke responded to the issue of consequence management. The Agency had handled 455 cases of financial misconduct. Financial misconduct relates to fruitless and wasteful expenditure. The Agency had strengthened the operation of the financial misconduct board and had also established this board in all the regions. The Agency had also appointed a senior manager to handle issues of internal control. The Agency had also reviewed the process and the terms of reference. The Agency had also appointed a compliance senior manager to audit existing contracts. Irregular expenditure would be recognised when it was picked up, hence the reason for appointing the manager to help pick it up before the audit. The Agency tried to conclude cases of financial misconduct within 90 days. The Agency was working on preventive and deterrent measures with regard to misconduct. The difference of R395 million out of the R226 million spent from the R621 million, related to the bulk of the R1.3 billion which was the retained surplus funding and earmarked for insourcing. The money not spent was linked to the future payment of SASSA which was the detailed plan that the Committee was asking the Agency for. The amount was allocated to the once off project linked to the payments. Ms Tsoleli said that a detailed account of every Rand spent should be provided to the Committee at a later stage. Mr Chauke spoke to the issue of the write off in terms of the debt. During the migration in the year 2009/10 there were some transactions related to over payment. the Agency had also followed due process in terms of the legal process in engaging with whosoever owed SASSA. These matters were defended. The Agency delayed in some transactions in implementing the follow ups. No amount was written off without due process. On security issues, when the Agency received guidance that it had to declare the amount as an irregular expenditure, it had to mitigate the perpetual incurrence of irregular expenditure. A temporary contract was put in place but now a permanent contract was in place. There was no extension now. It was a three-year contract, the contract was awarded and NT had also come to review the process even though feedback had not been received. This environment had been taken care of. Ms Malgas asked the Agency to speak to the R316 million spent on reregistration of grant beneficiaries. This issue was elaborated a lot on the media. Which company was appointed to review the payment? Ms N Sonti (EFF) referred to the deduction in grants. Some old persons were complaining of deduction in their grants without their permission. When these people asked why the deduction happened, they were told that airtime was bought where as some of them could not use phones. Some people were also getting grants when they did not have children whereas the main beneficiaries were not getting the money. These illegal beneficiaries were poor people who needed to be taken care of but were not hence they resorted to get the money by any means. What were the preventive measures to address this issue? Ms Wilson asked on the R6.7 million paid to an ex CEO, what was the Agency doing with an out of court settlement that the Committee did not know about? Had anyone been charged on the SAB& T? An explanation was needed for the R4 million expenditure on repairs of vehicles hired from rental company when a fortune had been spent on a new fleet for SASSA. Who organised the Mikondzo event that was cancelled, who was the money paid to? Ms Masango asked what was to be noted on the 124% spent on Eastern Cape. Were regional offices included in the posts that were filled? There were 8 Acting GM in SASSA. Mr Chauke said the R316 million was linked to an important project. R2 billion was saved for the country through this project. The Agency met with NT to condone this amount and on 6 June 2016, a condonation was received. What informed NT on this amount was the basis on its benefit. The variation was necessary because if one had an existing service provider and wanted to work within the area of the service provider, the only way was to consider a variation. Hence variation was given for that amount. In requesting for the condonation, the amount was not disclosed as an irregular expenditure in the financial statement of the Agency. Even though the Agency did disclose it as a possible irregular expenditure in 2014/15 an irregular expenditure transaction could only be disclosed when guidance was obtained from NT. Verdict was given in September 2015 and was disclosed then. The second point was that the Agency did not attach management letter or audit report together with the condonation. When the condonation was applied for, the audit process for the 2015/16 was not concluded yet. Hence there was nothing to attach because the letter had not been issued then. The Agency did not provide progress on the court case between SASSA and Corruption Watch. No letter was received from NT asking for the provision of any additional information to the letter written to it for condonation. Subsequently, the Agency wrote to NT to provide all the information it requested, when it was considered NT would guide in terms of the way forward. The Agency had satisfied the requirement in terms of the National NT. The merit and demerit of the case between Corruption Watch and SASSA would be argued in court, the outcome would be communicated to the Committee when the court case was over. Mr Magasela appealed to the Committee around the issue of the R316 million. The country charged the Agency with the responsibility of designing a system that would eliminate fraud. Under the circumstances of the award of the contract the Agency did its best. The issue was not whether the work was undertaken, or whether the work was necessary, but on poor contract management. The process the Agency was speaking to ensured that children’s biometrics matched to those of social grant recipients and thereby eliminating elements of fraud. The Agency saved the country R2 billion. What was in dispute was the contract process and now the latest withdrawal of the condonation by NT on this matter. SASSA was satisfied that work was done however, the Agency was found wanting on the issue of contract management. The CEO then was dismissed; a court case that was lodged against him and other persons. The court case was dismissed eventually by the court through lack of evidence. The former CEO then brought in lawyers to the Department to complain about the manner in which his dismissal was handled by the Agency. An agreement was then reached that instead of a long drawn out court process, the settlement should be paid. The court case could not stick, it was dismissed. Mr Brenton van Vrede, Acting DDG: Comprehensive Social Security, on the policy initiative said that last time it was supposed to be discussed; the matter was still before court. However, an update could be given. The Minister of Social Development published a regulation on 6 May. Ms Tsoleli said that regulations should not be discussed especially when it was sub judice. Separation of powers should be respected. The Committee should not pre-empt on matters that were before another arm of government. The Chairperson said she expected the Agency to raise that issue, why was the Agency breaking the law? Mr Magasela said the Agency did not see it as breaking the law. Taking the Committee in confidence the Agency was absolutely sure of the policy initiatives that it embarks on that were ready to shape and finally eliminate the challenges on social grants. The Agency had policy responsibility in this area of matters that were sub judice. Over a period, the Agency had raised an important issue of erosion of the value of social grants and undermining of the anti-poverty initiative through the illegal deduction of grants. There was a policy perspectives adopted by the Agency which may or may not be challenged by whoever in the court. The Agency was not intentionally violating the law. Ms Tsoleli said the policy issue was okay as far as the Agency did not get into the merits and demerits of the court case. Mr van Vrede continued that on 6 May the Minister published a regulation which effectively would have stopped all deductions except those allowed in the regulation. The regulation was then challenged; the court case would be heard on Monday 17th and Tuesday 18th of this month. In the meantime, SASSA had put in place a recourse mechanism for those experiencing deductions. Some of these deductions were authorised and others were not. Until the outcome of the court case, the cases would be dealt with individually. People could go to SASSA with evidence of the deduction, if it was not authorised SASSA would help to get the money back. Mr Themba Matlou, Executive Manager: Operations, added that the Agency had been able to refund 10, 000 cases that were reported. The value of those cases was calculated at about R1 million from May to July. Some of the cases were currently being investigated with beneficiaries. There was a timeframe in place to ease pressure and resolve the cases. The Chairperson said the Agency should find a strategic way of communicating to the people who were experiencing the deduction on what to do. Some of them were in the rural areas and might not have the evidence or what to do. It was not a request but a suggestion. Mr Chauke said the R74 million irregular expenditure related to the matter between SASSA and Nexus Forensic Services. The matter was heard on 9 June 2016 and judgment was handed down on 21 June 2016. The judgement found that the award of this bid by SASSA was inconsistent with section 217 (1) of the Constitution. The judgement also indicated that the tender was not set aside despite the fact that it was inconsistent and invalid. The Agency did not take precautions in terms of how to deal with whatever expenditure was to be incurred or prevent expenditure from incurring in the contract. The contract itself was coming to an end. The Agency was communicating in terms of the wounding up of the contract. The process to deal with the irregular expenditure would unfold this year. Due process and guidelines would be followed in handling the irregular expenditure. The matter would be communicated to the Committee when it had been concluded. The R4 million fruitless and wasteful expenditure had to deal with the cars. SASSA had fleets and precautions were being taken around it. The 455 cases included recovery, a bulk of it relates to the management of the fleet. Between the period of 1 April 2016 till today, the Agency had only 80 cases relating to fruitless and wasteful expenditure as an organisation. The number had really come down after the implementation of the process in place. SASSA had up to 10, 000 workers across the country and if they need to go to a community for any work, the fleet may not necessarily be enough and this raised the need. There was a terrain that the Agency uses to get into rural places. There was also an element of staff negligence, but actions were being taken to bring some sort of deterrence among the staff to say that it should not continue. In some instances, SASSA had to absolve the losses. On the R1.1 million in relation to the Mikondzo event; it was unfortunate that the event could not take place at the 11th hour because of other commitments which were material. Most of the service providers had already delivered most of the things needed. There were clauses in the agreement with the service providers stating what happened when the event was postponed. In the instance it was unfortunate that the service provider had already delivered the goods. The Agency was putting on processes to avoid cases like this. The expenditure relating to the Eastern Cape was due to the fact that the Agency felt that the province should be improved in terms of access to pay points. The 124% related to the infrastructure that was being put in, it was once off and was funded partly from the retained surplus. The Chairperson expressed concern over the postponement of activities because that was wasteful. If the Minister could not attend there were people like the mayors that could. It was not only about the logistics but the individuals that would attend the event cancelled their plans only to be told that the Minister could not attend. Before procurement proper planning should be done. Ms Ramokgopa said the regions that were vacant were Limpopo and Northern Cape. For Northern Cape, the recruitment process started and submission made to Cabinet. Issues were raised and the Agency had to revert back to the people that were recommended to clarify the issue. Unfortunately, the period had lapsed and the Agency might be forced to re- advertise the post. Western Cape would be vacant with effect from 1 October making that three that were vacant. Some of the GM were assisting in other areas. Ms Malgas asked how the vacancy rate could be reduced. Ms Ramokgopa said the staff establishment was never fully funded. Only 8776 posts had been funded. What the Agency was doing was that any time there was a saving, it took money and requested NT to appoint at the local level because the work of SASSA required people. Right now at some of the service points people have to move from their offices to go and serve at other offices. It indicated that for example that Peter was robbed to pay Paul in order to achieve spread of service delivery. There was a breakdown of high level posts to fund low level posts. There was no additional money coming from NT. The Committee had also recommended the abolishment of unfunded posts because it gave a wrong impression of the vacancy rate. The actual vacancy rate of the funded posts was only 4%. The unfunded posts were not cancelled because the Agency wanted to increase staff incrementally over the years. When there was money, the Agency made a motivation for that. Also the plan to go into the payment area, the process of abolishing and re-establishing would take a long time and made it more problematic for the Agency to establish. There was motivation for payment of staff in progress. The Chairperson asked if the Agency had been able to identify the issue of other grants like the grant in aid, which had become more bureaucratic to access especially with rural communities. It was not clear what the criteria of qualification for the grant was. Ms Wilson asked why the Agency was losing on property sale and what was being lost. What did housing and allowance benefits entail and who did they go to? Who was being entertained to the tune of R24 million? More explanation was needed on medical expenses of R86 million, other administrative expenses, and health and wellness expenses. What was the resettlement cost for? Mr Chauke, on loss of property sale, said the heading showed that it was operating surplus that dealt with operating lease charges and it related to adjustment to the GRAP standard. It involved the smoothening of the lease. In a lease agreement, properties that were leased over a period of time, when there was an improvement in those properties it needed to be restated. The Agency only owned property in one province which was Limpopo. The amount dealt with leasing expenditure. Under personnel with regard to housing allowance, officials that were appointed had a housing allowance which was R1, 200 for an official who had his or her own accommodation for level 1-10. Government had made a determination that amount which officials were allowed to get. In a case where the officials did not own any house or were in any housing arrangement the Agency must keep the money and pay it over to a new housing body that was dealing primarily with the money for housing allowance. The money was paid at the end of the period. The Agency paid its officials their housing allowance and benefits. Health and wellness expenses relates to wellness of the officials. The officials were referred to for counselling in some cases where it happened within the organisation. The Agency currently had a contract with Independent Counselling and Advisory Services (ICAS). Resettlement cost related to when a person had been appointed in terms of the policy that was outside the 60 km radius and where a person had to move from one area to another. If a person was in the Eastern Cape and had to move to the Western Cape, he or she had to relocate with everything hence the resettlement. Medical expenses related to payment to the service providers, the doctors that assisted the Agency and supported the operations of the Agency. Entertainment related to the normal operation of the Agency. For example, when there was engagement with stakeholder’s tea could be provided. The Chairperson requested that a breakdown of that entertainment be given to the Committee in another meeting. Ms Wilson asked if the CEO position of SASSA was a contract position. A brief highlight was needed for the institutionalisation of SASSA’s ability to take over the grant. Mr Magasela said SASSA was fully aware that the project was a huge one with responsibility in terms of making sure that social grants for ±17 million south Africans were fully paid on time as had been the established practice. The Agency was working towards making sure that come March 2017 all south Africans would receive their grants. The Minister was providing political leadership on the issue. There was also a project manager managing this project. Ms Masango said Just a state of readiness was needed from the Agency. Mr Magasela said that IT was needed for payment of grants. The Agency was operating under a Constitutional Court prescript of the progress that had to be made. The constitutional requirement of continuously reporting the progress was up to -date; the court had been informed accordingly. The matter would be dealt with in detailed in the next meeting. SASSA was confident that it would not let South Africans down even though it had not handled social grant payments before.